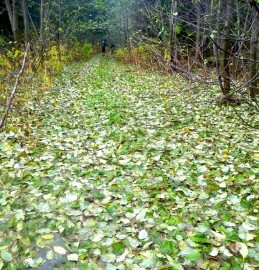 The left car is below the road near the Big Snow trail head. 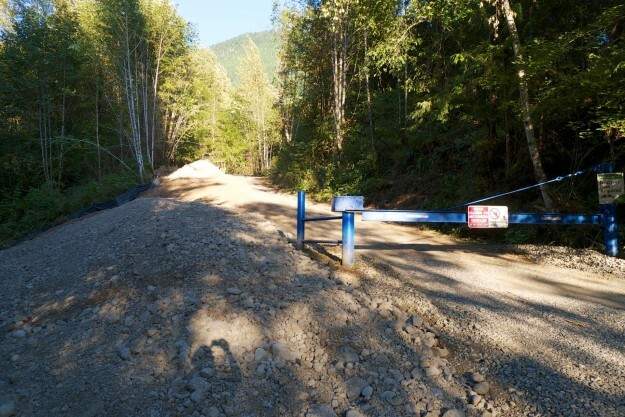 The right one is just across Granite Creek where the overgrown logging/mining road cuts back and up to the Horseshoe Mine site. This entry was posted in Granite Creek, Hardscrabble and tagged car, junk on 2012/08/22 by mvanderbilt. 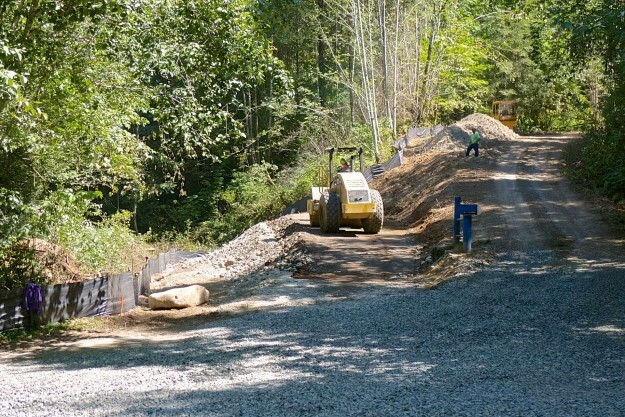 DNR begins construction of the new Mailbox Peak parking lot. 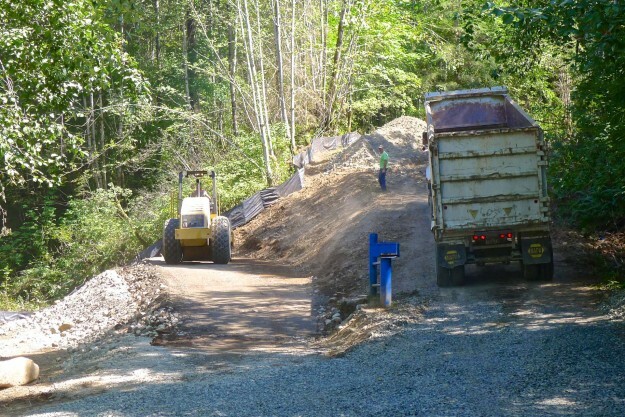 This entry was posted in Mailbox and tagged DNR, parking, peakMailbox on 2012/08/14 by mvanderbilt. 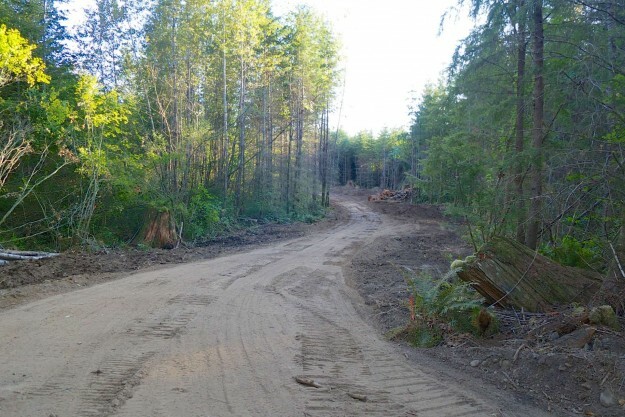 The Granite Lakes road-to-trail conversion is underway, with work currently being done on the road segment between the Granite Lakes fork and where the Thompson Lake trail took off. 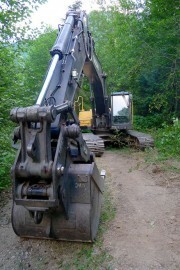 A large excavator is digging up the old road bed and removing culverts, leaving a roughed-in trail instead of a road. 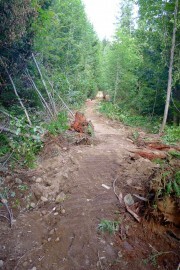 It will take a number for years for vegetation to re-establish itself along this trail, but it’s currently mostly willows and slide alder that will come back fast. 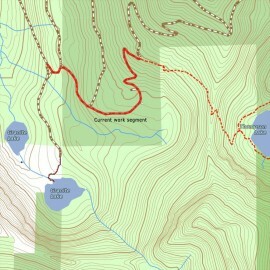 This entry was posted in Granite Creek and tagged DNR, new trail on 2012/08/12 by mvanderbilt.